Lilian was born in Singapore. She teaches Chinese and Higher Chinese at Primary level. She has more than 10 years of teaching experience. She is bilingual in English and Chinese. 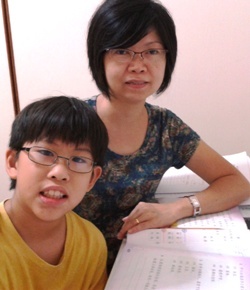 She conducts tuition at her Bedok residence near Bedok Point. Lilian grew up in a Chinese speaking family and received education in Chinese School. She acquired English language skills when Chinese as mother tongue was made Second language in Singapore. She maintains strong links with the Chinese community through active involvement with parents and children in her Chinese Church. 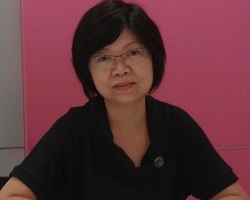 Prior to full time tutoring, Lilian worked in Tao Nan School for many years as Chinese tutor in Student Care Centre where she helped students from Primary 1 to 6 on Chinese and Higher Chinese. She often goes beyond academic to help students learn Chinese with games, activities, storytelling, flash cards, quizzes and riddles. She imparts in students special skills such as fast reading and word recognition. Her teaching style is effective in raising the interest and ability among students to listen to Chinese News, watch Chinese programs and read Chinese books and literature. Lilian is especially effective in teaching Chinese comprehension. She also develops special teaching materials on oral, composition and listening comprehension for enhancement class（作文口试班). Students are organized into small groups during enhancement class to practice on oral skills and picture conversation. Students acquire the essential skills to score on listening skills and speak confidently. Students learn to build on vocabulary so as to avoid common errors in oral exams. Through a wide array of practices she also covers important techniques on writing. Lilian has a strong interest in Chinese performing arts and drama since young. She participates in activities organized by an interest group on Chinese performing arts and drama where she writes scripts and train others in vocal and performing skills. It adds value to her teaching as help students build vocal skills for Chinese oral. As a mother of 2, Lilian also ensures that she is able to engage with children and youths in their developing years. She has a Diploma in Counseling Psychology and is actively involved in youth work. In free time she loves to cook and bake. She has endless tips and secret recipe to share with parents and students when it comes to bonding with food.